Hi Mark, In New Zealand we are facing the same issues and debate. Some commentators foget the link between electric cars and how the electricity that is used to charge these is produced. 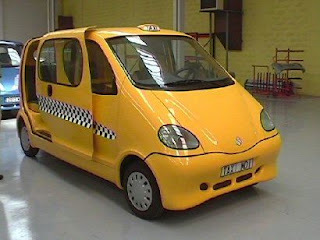 If the electricity is not produced by renewaable resources such as hydo or wind then electric cars defeat the purpose. Then there is the issue of the end of life recycling of electric cars! If you look on Mitsubishi cars website, you will find they have an electric vehicle along with details on how it works which is very interesting to read. The car model is i-EV (Electric Vehicle). You can either charge the battery up overnight from your house mains electric, or call at a garage for a "quick charge", which charges the car to 80% peak in around 30 minutes. Would be good to see something like this take off. Don't forget about the environmental impact of the batteries themselves! NiCad batteries (which are currently being phased out) are pritty damaging to the environment to produce and cannot be recycled! other types of batteries are also require a lot of energy and non-reneable materials to produce and are hard to recycle and can be pritty dangerous as well!